from -40°F to 80°F, weather is a killer for these generators. Diesel freezes at -22°F, and if the generator shuts down, so does the lubricating oil. Diesel generators also have another unique problem: diesel theft. One of the smaller operators we visited told us they had lost $350k worth in stolen diesel in the last 3 months (or an estimated $3M for the year). E&P operators aspire to use flare gas to run their generators, but the natural gas generators adapted for this purpose have higher failure rates. Most of these NG generators have propane available on site for backup, but the primary cause of failure is of course due to the fact that flare gas has inconsistent fuel quality, which beyond causing engine shutdowns also shortens their life. One supplier told us he only expects his fleet of generators to last 12-18 months before he will have to overhaul or replace them. The quality of flare gas is so poor, one major generator vendor won’t sell their generators without first evaluating a test sample for examination in the lab. If the results come back as poor, they will not provide a generator. If the results come back positive, they will sell the product without a warranty. In addition, the availability of these generators is less than 90%. Needless to say, the systems used by the industry are subpar. Technologies do exist to bring improve the availability of flare gas burning generators, but the costs don’t currently justify their implementation, and the sub-par availability is the biggest barrier to the implementation of conventional reciprocating generators. The technology we are developing here at Dynamo is built to solve the numerous problems here. While we are talking about the oil field, we should probably talk about what the oil field is. Upstream operations mostly take place at a wellpad. 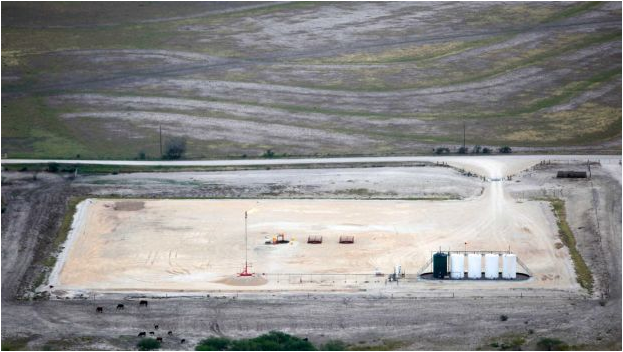 Modern fracked wells require relatively large amounts of space, as shown in this picture on the left. This is done to accommodate all the equipment needed to drill and complete a well. “Completion” is a process whereby rock is perforated and stimulated (fractured & cleaned up). Once completed, a well enters production phase—as represented by the picture on below. 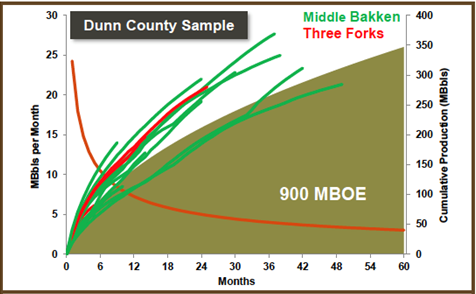 Oil wells are not static entities either; once drilled their production decreases over time. Just as a juice box becomes harder and hard to drink from as you pull out all the fluid, the same is true with oil coming out of the ground. After some time, usually a few months, artificial lift is installed to keep the oil flowing. Artificial lift is a generic term for a pumping unit, but usually takes the form of a pump jack, like the ones below. Also on site you’ll find tanks for holding oil and water, heater treaters (basically a system to separate oil from water and associated gas), flare stacks, and of course an onsite generator. While all of the equipment onsite is necessary, without a generator all activities on site come to a stop. Early on, while the Bakken was being developed, (for political, legal, and strategic reasons) most wells were drilled with only one well on any given pad. Today operators are doing what’s called infill drilling, where they packing together wells as densely as possible. 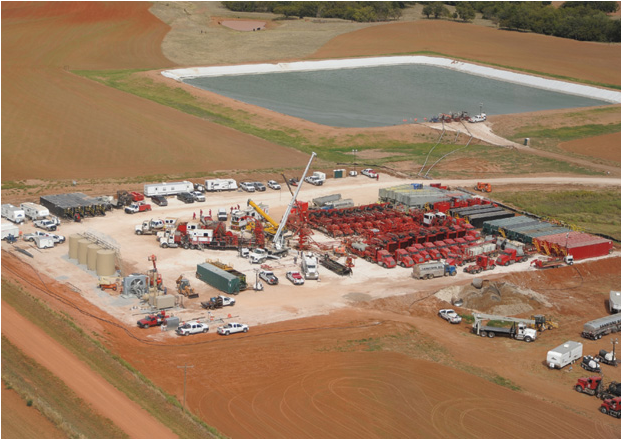 Without going into a detailed description of the geology and science of drilling and fracking, one thing is clear: there is more than one well per pad being drilled today. This is important because each well typically needs 50-75kW of power. Numbers vary, with as few as three wells per pad but we saw one pad with nine wells on site. Each operator has their own secret number which is highly correlated to the reservoir engineering that is going on below the ground. After the first six months (as shown from the chart on right), a typical well will be producing $30,000 in oil a day (or $1,250 an hour). 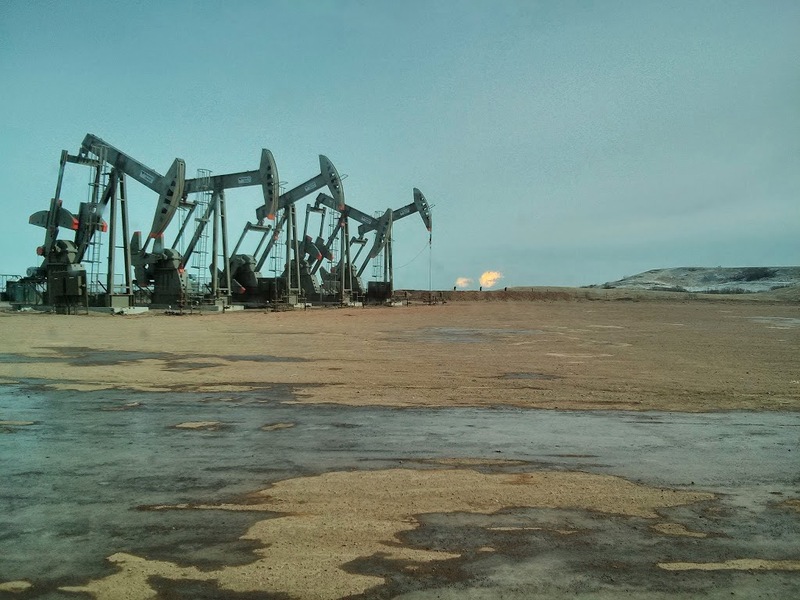 I think it is interesting to note that on that well pad with 9 pumpjacks, we saw one generator, which rented for roughly $20,000 a month. Each hour of downtime from that generator at that wellpad amounted to $10k—and a good generator averages a day and a half of downtime a month. More on this next time. the energy world. The reason to come to Williston is that it is at the center of the action. 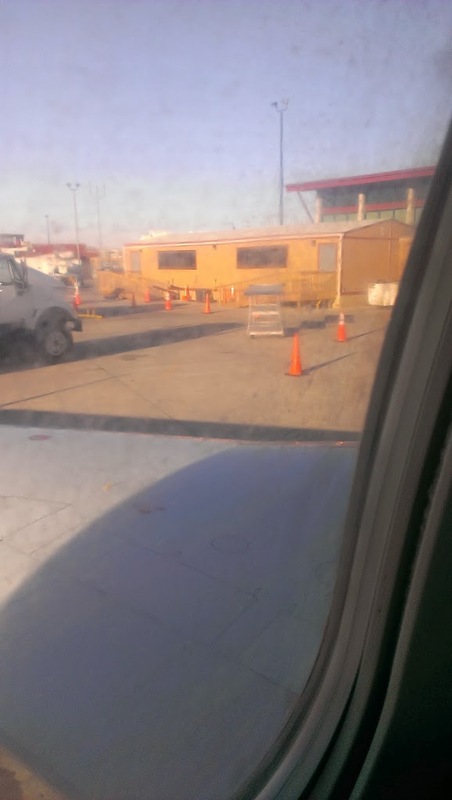 Landing in Williston was uneventful, save that the airport was probably the size of our incubator, Greentown Labs. A boomtown is an amazing place, where at first the world seems like any other you are familiar with, but after a while you realize it is actually different. Very, very different. Getting out of the Airport, Williston seems like any other midwest American town of ~14,000 people: streetlights, cars, gas stations, and local restaurants that were never displaced by big national chains. But once you drive half a mile beyond the airport, you notice the odd things. There are far too many trucks on the road. Not SUVs, but 18 wheelers, and cement trucks, and tankers—in fact, you barely see any other types of vehicles on the road. These trucks always seemed to be on the road, morning or evening; we would later hear them screaming by as we tried to sleep in our hotel. As you drive from the airport, along Highway 2, you see the roads are lined, not with strip malls like you would see in suburban America, but office buildings of service companies; names like Schlumberger, Baker Hughes, Cameron, Caterpillar, & Weatherford streak by in your peripheral vision. Of the houses you did see, you wonder why the houses are so small and packed together in this mostly un-inhabited county. You notice the flash of light from the sides of metal buildings still under construction, and you wonder why there needs to be so many trailer parks for this little town. 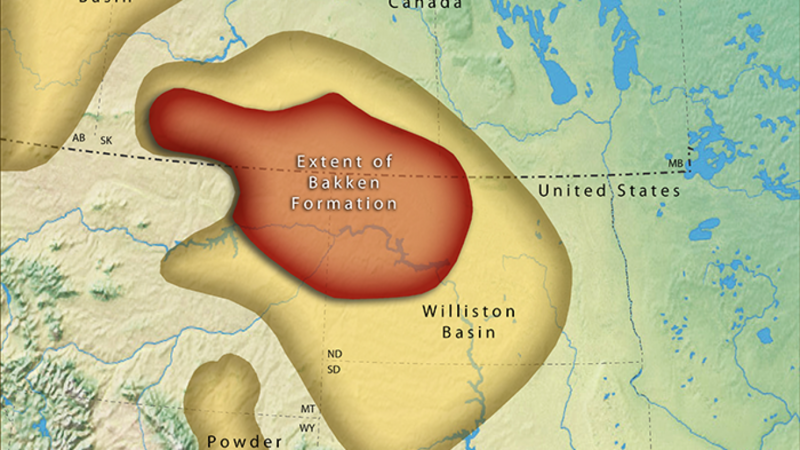 As you will later learn, Williston has the highest rent in the US, and some believe that the population of Williston swells to 75,000 people in the summer—and they are all here to work on drilling oil. We arrived at our hotel to find it was still under construction. Workers were painting the walls and lining Ethernet as we checked in. When we asked the front desk where we could grab some dinner, she exclaimed “Applebee’s just opened up down the street.” As we drove to dinner (we opted for something more local than Applebee’s) we saw Pumpjacks right in town—an integral part of the urban landscape. We had arrived in a boomtown, where oil wells and buildings, services were being built out at a lightning pace, but where talent and the houses for them to live in could not be found fast enough. We had arrived in a town where at every table sat groups of people with the word oil on their lips. We had arrived in a town where something new and different was taking place; where people came to be a part of the tidal wave that would bend history. After the Turbocore, there is a dynamo (or as we call it these days, a permanent magnet generator). The generator that is attached to the Turbocore produces electricity at 1 kHz, much too fast for conventional equipment to use it, so we pass the power through a rectifier to make stable DC power across a DC link. After the DC link, an inverter changes the power to a more standard form of AC power – in this case 60 Hz standard utility power – so that it can go into the grid, power a compressor, power a beam pump, or be used for other applications. 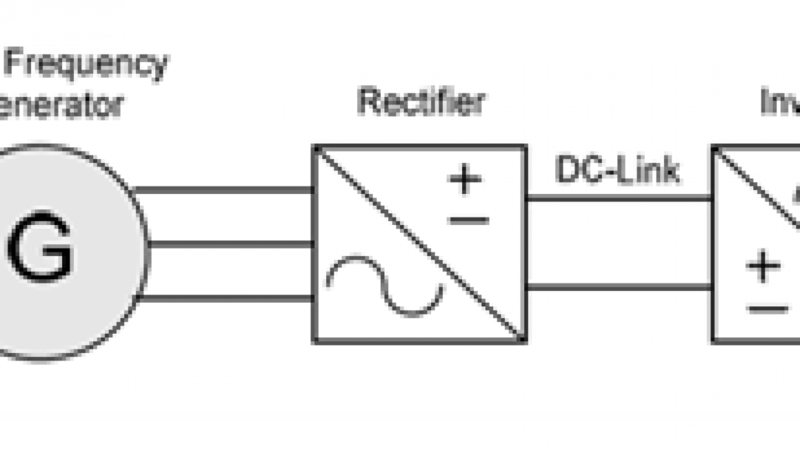 A DC converter could also be installed in lieu of the inverter for DC applications. This is a typical power conversion architecture for microturbines. While this architecture is a little more complex than your household Honda generator, it gives us product flexibility and reliability. The DC link is electrically simple, and is a good place to create modularity in the engine. Components on the left can be changed independently of components on the right. This means it’s easier for us to cost effectively provide 120V 1-phase power or 3 phase 240V power or even 48 VDC by changing a few parts. On the other side of things, it’s easier for us to make upgrades to the underlying hardware—the engine and the generator—without sacrificing electrical quality. In fact, multiple inverters and multiple generators can be attached to both sides of the link, providing end users with a wealth of options for power. While we are talking about electrical, and what that means for the end user, we do want to talk about why the Dynamo Turbocore has two turbines. We could have gone with a single turbine: it’s cheaper, there are less parts and less engineering to be done with a single shaft engine. However, we went with a split shaft design because we realized doing so would result in a more stable and more reliable engine whose performance would be less sensitive to changes in the application. A two-shaft engine has two main subsystems: the gas generator and the power turbines. The gas generator includes the compressors, the combustion chamber, and the turbines that power the compressors; the remaining turbines are mechanically connected to an electric generator and are called power turbines. There are three main advantages for doing this. The first advantage of a two-shaft engine is that the second turbine, which spins the electric generator, can be designed to operate at a lower RPM, which results in less stringent performance requirements for the turbo-machinery, the electric generator and the power conversion unit. This holds true for mechanical loads as well, which also see significant advantages from lower gear ratios and lower speeds. The second advantage is that the power turbine is a constant power device, which is exhibited as a significantly superior torque characteristic versus engine speed compare to a single-shaft engine. For a single-shaft engine, the available torque decreases to zero as the speed of the engine drops; for a two-shaft engine, the available torque increases as the speed decreases. The torque characteristic for a two-shaft engine t is also superior to that of a reciprocating engine, which has a relatively flat torque curve. The torque advantage is important during back starting heavy loads. Lastly, the Turbocores are controlled to provide consistent power to the power turbine; the gas generator is essentially de-coupled from the power demands; the gas generator can be throttled up and down faster and the compressor is not limited by the load on the turbine, and can generally operate near their efficiency point. The control system can be more robust—there is less compromise between keeping the engine operational and preventing a brown-out. Big power generating turbines where the load varies over time are generally of this split shaft configuration. As a corollary split shaft engines are easier to start, with less thermal loading to the turbine system. It is for these reasons and others we went to a split shaft design for our Turbocore product. At its very core, Dynamo is building turbo machinery. A very simple device made complex by time and design. The first turbines were built as early as Hero of Alexandria in the 1st century, yet with the advent of steam power, and the ever increasing need to do more work with less fuel in a tighter footprint, the turbine has become ever more complex. To explain how the Dynamo Turbocore works, we first must learn a basic fact about engines. Engines do work, which is really a force over a distance (or a torque over an angle). To get this useful work, typical engines complete a cycle (to allow you to get work over and over again). By pushing on a fluid, adding heat, and then letting the fluid expand, and using that expansion to drive mechanical motion, some of the energy in the heat can be used to produce useful work—like lifting water or pushing a car. Gas Turbines do this in a very simple way. Air is accelerated by a compressor wheel, and then slowed down in a stationary passage to convert velocity to static pressure. Then heat is added in a combustion chamber, which expands the air and increases the volumetric flow rate. Then the hot air is accelerated through a set of nozzles, and then a turbine gets pushed by this fast moving air, and pulls out some of the kinetic energy. 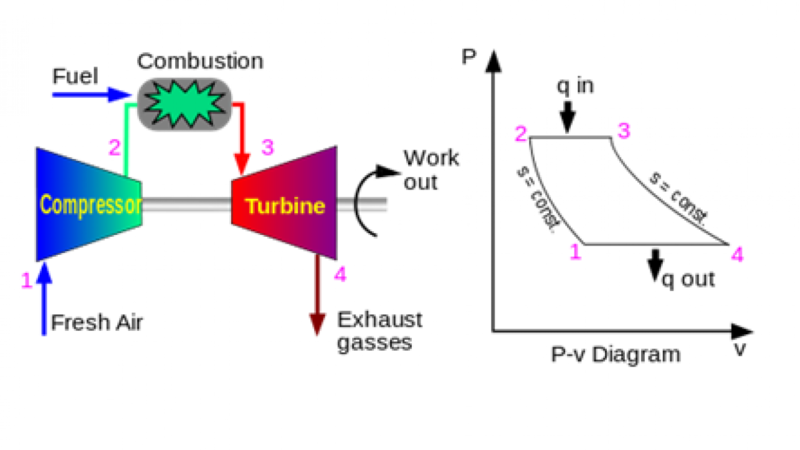 In the Dynamo Turbocore, there are two such turbines, the first one is used to power the compressor, and the second generates shaft power for us to use. The compressor creates the push (force / area) while the air flowing through the engine is the volume (length * area). For those of you keeping track, you will know that the volume passing through the turbine is greater than the volume flowing through the compressor—this is another way to interpret why heating the air creates more net power. Gas turbines like the Turbocore can be made more efficient by adding multiple compressors or spinning the compressors faster to increase the pressure, and they can be made more powerful by using bigger compressors to flow more air (and volume) through the engine. So that takes care of the mechanical portions of the engine. But of course, this doesn’t explain how we take power from a rotating turbine and convert that into useful electricity—more on this next week. At Dynamo we are building a generator product for the broader market, but we are also paying special attention to the O&G market place. We’ve spoken to over 25 companies and over 50 individuals about what they want and need in the marketplace. The message is clear and consistent, with 15 terms that came up consistently. 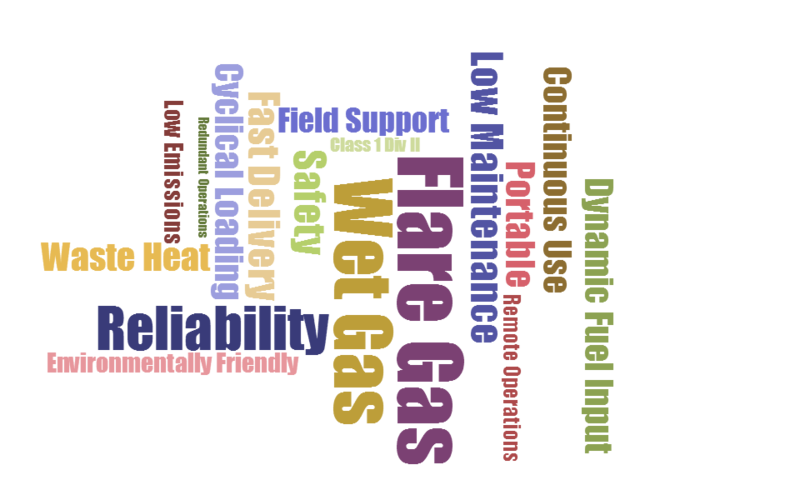 Below is a word cloud of what customers were consistently looking for. We then took this input and determined what we could do best for our customers. Some of these requirements are essential but unremarkable, such as reliability and safety, but others were non-trivial, like operating on lease gas and including built-in redundancy. As a team we determined we could provide a great product but we were going to focus on three things. We would provide a product that is fuel flexible, load following, and very easy to install, as these were the primary challenges found with installing other turbines in the field. We listened, and have put special focus on building our turbine around a very flexible combustion system. While our turbine is designed to be very fuel flexible, we decided we wanted to remove any engineering uncertainty and are including special fuel injectors and control system to enable the engine to operate on lease gas, irrespective of how sour or wet it will be. One of the biggest concerns our customer have is the fact that lease gas composition changes over time. Its energy content, pressure and temperature can change significantly compared to what typical gas turbines or natural gas reciprocating engines can handle on the order of minutes. By designing mechanical buffering system and implementing control logic in our fuel delivery system, we’ve done away with those concerns. There are no manual set points to worry about or governors to adjust. Just plug in the fuel line, allow the gas to flow and start it up. There is also a need for a product that will be used continuously throughout the year, but must be able to respond to cyclic loads, like those from a pump jack. Continuous operations are not a problem for a small turbine, the challenge is around cyclic loading. To meet these challenges, we built our turbine differently from these rest of the microturbine industry. We are utilizing what is called a split shaft design. The part of our engine that generates power is separate from the primary engine, allowing for better load following, starting capability and tolerance to fuel variation. There are many things to mention in this post, but I will leave discussions about safety and emissions for another time. The last thing I want to talk about is how we have made key decisions which will simplify installation and total installed costs for our customer. Our product is small, about 1/3 the size of a traditional diesel generators, and small enough in most cases to fit on the back of a pickup truck. You will still need a crane to lift the larger units off the bed, but unlike a reciprocating engine, a turbine generator does not need the same reinforced concrete pad to isolation vibration. The overall footprint will be smaller, and the resulting cost and time required to set up the generator will be much less. These are just a few details on the myriad of nuanced design considerations we have put into our TurboCore products specifically for O&G customers. The Dynamo value proposition is conceptually very simple. Dynamo provides portable power with a reliable, fuel flexible engine. But this is just a short hand version of what customers really need, which is the ability to have power generated when and where they need it, while being accessible to existing staff and leveraging their existing supply chain. Ultimately this will minimize operating costs and maximize availability. This is a universal need and our competitors would be remiss if they ignored this fundamental fact while they try to provide products to meet customer needs. What we find is there are many of you who are on this website looking for something different, because the existing products do not meet that basic need. How do we provide you with superior value? To do this we stick to three simple tenants which guide our product development. we are building a product that “just works.” Years of formula racing taught our team that having a robust design is far more important than having the lightest car or the fanciest widgets. No one will care how fast you are, unless you can cross the finish line. To that end we are going back to basics with our turbine to build a simple, robust platform that will always perform when you need it. This point has significant depth. Not only does it have to work here in our Development Center in Boston, but it also needs to work on the Alaskan North Slope and in the Texas Gulf Coast, a reflection of the fact that we are playing in a global market with diverse environmental and operational requirements. We also focused on fuel flexibility as part of this guiding principle. No matter where you are in the world, we want you to be able to run a Dynamo generator. Most of us default to diesel, but that may not be the easiest fuel to obtain. To that end we are building a product that will work on the broadest ranges of fuels, from low BTU natural gas through diesel. Part of making it “just work” also means the engine has to be self-adapting. That means you as the end user don’t have to tell the engine what you filled it up with. Just fill it up, hit start, and we will do the rest. we are building a product that is easy to maintain. Having a product that requires maintenance only once a year does help reduce the pain of conducting maintenance, but that is not good enough. As robust as we make our product, something unpredictable can and will happen in the field, which means it can’t be a challenge to get the generator operational again. One of the reasons that diesel engines dominate the world of power generation is the relatively low skill set required to conduct maintenance and consequently the ease of finding qualified maintenance personnel. No matter where you are in the world, you should be able to find a diesel mechanic who will eventually get your generator operational. On the other hand, identifying and training a service network has been a huge choke point for most types of alternative energy. Internally our goal is to make servicing a cinch. We want even the most complex service to take less than hour. To achieve this, we designed a whole new turbine platform that will make it easy to remove, repair, and replace any significant part of our prime mover. Furthermore, we focus on leveraging the same skills and tools already used by diesel service providers today. Building a product this way means we can leverage existing service networks to provide service when and where it is needed; it also means we can get you back up and running sooner than the competition. Lastly, and just as importantly, it means you don’t have to wait for us if you need the product today, as we have made every effort to make sure the product is simple for you to service too. we are focusing on a modular engine platform. We realize that all of you have different power needs. You need power as small as 1kW to over 75kW. Doing that cost effectively, with minimal variation in product quality and serviceability necessitates a design that is flexible and easily modularized. Beyond making sure we can provide you with a broad range of products, we are also doing this because turbines are a little bit different from your traditional Diesel. We realize when you buy a 10kW product you know that is what you need. We know you don’t want to have to deal with figuring out how humidity, or altitude, or temperature will affect the performance of our product. We can easily make minute changes to the hardware and software to provide you with the power you need, especially when we leverage modular components. Finally, we know many of you have changing power needs. Perhaps your oil well begins to decline or your family starts to grow. Leveraging a modular engine platform means instead of having to chuck out the entire genset, a power change will be as simple as replacing a few parts. It is with these guiding principles that we will deliver a product that will be in a class all its own. What is Dynamo Series, Part 3: What is the innovation? Dynamo is developing a new type of turbine engine, but what is the innovation? We did not invent a new type of manufacturing process, nor a new super alloy, nor a new bearing technology. We developed a new approach to gas turbine design that steps beyond traditional industrial turbine design, and we took key learnings from the automotive industry, the silicon industry, and the computer industry. The one thing the other three industries have in common is the ability to build a range of products in high volume and deploy them annually. Every year there is a new laptop, a new CPU chip, and a new model year car. Much of this change is market driven, but the results are enabled by technology. While the products are functionally commodities (A chip, a computer, a vehicle), they are differentiated at the product level with broad ranges of prices ranging across an order of magnitude; this is brought about by specific engagement with customer needs. By contrast, the turbine industry typically deploys an engine once every 10-20 years and builds anywhere from 10-1000 engines a year—a far cry from the high cycle high volume markets I just described, which routinely deploy tens to hundreds of thousands of units of product a year. This is achieved through driven development cycles where new architectures are routinely built then continuously updated over several years. This is enabled by a high volume market where engineering and manufacturing overhead can be monetized over many units of production. Low costs are maintained however, by leveraging a common manufacturing platform, with interchangeable components which can be easily adjusted to adapt to customer needs. To enable this type of rapid innovation, the traditional turbine needs to be broken up into its constituent parts. Doing so creates a system that is less finely balanced, but necessitates a product that is more robust and more resilient than existing engines. To enable this, Dynamo has developed a modular turbine that enables us to scale the product on a unified manufacturing platform. The components of the turbine share a standard interface, but can be tuned within a range of operations to enable different functions. This is similar to how modern computers are built, where in the CPU, hard drive, and RAM can be changed; by selecting a combination of these components the computer can be customized for different user experiences. For example we can offer different variants of the same generator; by changing the compressor we can tune the efficiency, or by swapping the combustor we can change the fuel to be used. This allows us to customize the product on a component level to meet the customers’ specific needs. On the lab bench it also means we can engineer and improve these components independently of the rest of the engine. Ultimately this means we can develop new engine architectures every few years and deploy component level improvements to the engine to keep design and performance fresh as customers demand them. Often-times we get asked “Why don’t you just make the most efficient engine you can?” The answer is simple. Customers don’t want the most efficient product. They want the most valuable product. Most simply, they want a product that solves a real problem. Ultimately this translates to systemic efficiencies. On a simple level, the most efficient product is often times the most expensive, and while this is a noble technical pursuit, there are few problems in the world that are as black and white as needing a more efficient engine. The customers we target are ones who have fundamental problems such as basic access to power. The source of this problem may be as simple as having an irregular fuel source, an unpalatable cost of maintenance, or current products being physically too large for customers to use. These problems are generally true in markets where the power grid doesn’t exist, so it is these fundamental problems we chose to solve by returning to the basics of the engine. On top of solving a problem, we have to do this cost effectively. There are several approaches to deploying a product like ours. The first is to try and build a solution that is all things to all people [The Capstone Model], the second is to start with a flexible core technology, and build hardware around it [The Honda Model], and the third is to build just the engine and let someone else build the solution [the Intel Model]. Trying to build a product that is all things for all people is difficult and expensive, because people want different things. Building just the engine actually leaves a lot of value on the table. While a CPU might be only 10-20% the cost of a laptop, the real value is in the laptop itself (what would you do with just a CPU?). Starting with a basic platform engine and then building custom solutions allows us to do two things: We can capture more value around our product, and we can truly unlock the strengths of our product for customers with specific needs. But to be this kind of agile company, we have to start with a basic engine that solves the fundamental needs of reliability, fuel flexibility and power density. By providing our customers with a solution that works when and where they need it, we can change the power access paradigm; we can enable access to power irrespective of fuel or technical skill. What is Dynamo Series, Part 1: The core of the matter! Dynamo Micropower is developing a new generation of microturbines. As Ford Motor company is recognized as the company that replaced the horse and buggy with the mass produced automobile, Dynamo will change the small power paradigm with a new type of microturbine built for the mass market. We are recasting the traditional turbine to meet the needs of the mass market. We started by focusing in on what the turbine is. At its core, it is a simple engine with few moving parts. It is a reliable work horse that is more powerful than other engines. And to top it off, these engines are amazingly fuel flexible, having been used to burn fuels as varied as biogas through wood chips. There is no doubt the mass market could use a product like this, but we have made two significant innovations that change the accessibility of this historic power house. The first innovation revolves around scale mass manufacturing and the second focuses on ease of serviceability. To appeal to a mass market, we need a product that can be manufactured in high volumes. Not hundreds or thousands, but hundreds of thousands of units. And we must do this while achieving quality control, scalability, and a broad product line. To achieve this we have implemented state of the art design practices and computational tools to allow us to deploy a flexible product; we have also designed into our business a dynamic and broad supply chain which will allow us to respond to customer needs in real time. We have also done simple things, like minimizing the assembly time associated with our engine. A traditional turbine takes highly skilled labor and a day to assemble, ours takes less than twenty minutes. This simplifies quality, scale, and above all, performance. We also made sure our product is easy to service, and here is why. Whether you have a large 400 hp Ford-250 or a small 70 hp smart car, you have to do the same amount of maintenance every 3,000 miles. The same is true for any other type of power generation, with maintenance becoming a bigger component of cost as the engines become smaller. For the smallest generators, the maintenance is so cost prohibitive the engines themselves are effectively disposable. With a simpler morphology and a dedication to minimizing maintenance, we have demonstrated the ability to tear down and rebuild an entire engine in less than twenty minutes. Furthermore we have focused on keeping the skills and tools required to a minimum. To date we only use a 7/16 wrench and a mallet to complete assembly. Assembly itself will be intuitive, and can be done by following a simple instruction set analogous to the ones found among IKEA furniture. This does two things, primarily it makes the product more economic to maintain, but second it expands accessibility to the bulk of customers who would otherwise need special training to use and service our product. One of the things we constantly remind ourselves is that we are not building a perfect product for all people. Instead we are building a product that is good enough for most and great for those who really need what we want to make.